West Kendall, Miami-Dade County, FL. October 17, 2004. 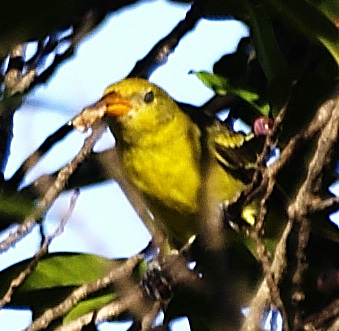 The wing bars (the upper one yellow) and bright bill indicate a Western Tanager.